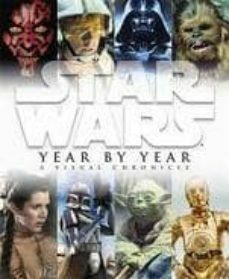 This is the definitive history of "Star Wars" no fan should be without Celebrate four amazing decades of everything "Star Wars"; decade by decade, year-by-year, month-by-month. Everything is covered, from the influences and creation of all six "Star Wars" movies, to the toys, books and video games that have shaped the "Star Wars" dynasty. The month-by-month format is brought to life by images from the movies, TV series, comic books and more. Presented in a stylish slipcase, the book includes two exclusive prints in a card wallet making this book a must-have Christmas gift for all "Star Wars" fans.